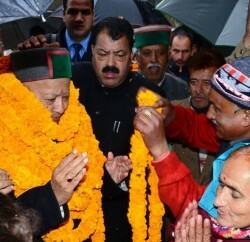 Chief Minister Virbhadra Singh, after assuming the office presided over the first Cabinet meeting in which he thanked the people of Himachal Pradesh especially the electorates who with over welcoming voting brought Congress Party in power. Cabinet in its first meeting decided to adopt the Congress Party Manifesto as official document of the Government. It was also decided to terminate all extensions and re-employments forthwith. 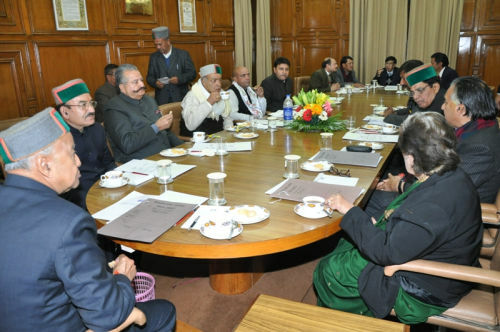 Virbhadra Singh in his first Cabinet meeting decides to review all the decisions taken by previous Government in last six months. 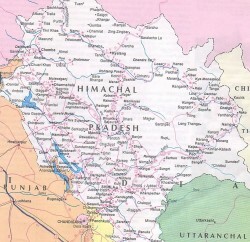 Cabinet also decide to convene first Assembly Session of 12th Vidhan Sabha at Dharamshala from 8th to 11th January, 2013 in which oath will be given to newly elected members of Legislative Assembly. In additional to it, the election of Speaker and Deputy Speaker will also be held. It was decided that this being the first session of new Vidhan Sabha in the new calendar year, therefore Governor Address will also be given on the occasion. Virbhadra Singh led Cabinet meeting also ponder upon the grievances of PTA teachers who are suffering from last five years and decided that steps be taken for framing policy for regularization of PTA Teachers in the State. 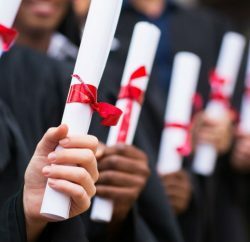 All notified schools which were closed during last five years, would be reviewed. It was decided that employees, who were on secondment basis in Secretariat and were reverted back to parent departments, they will be taken back in the Secretariat. It was decided that criminal cases registered on political grounds and for political agitation where no violence and breakage was involved, be withdrawn.